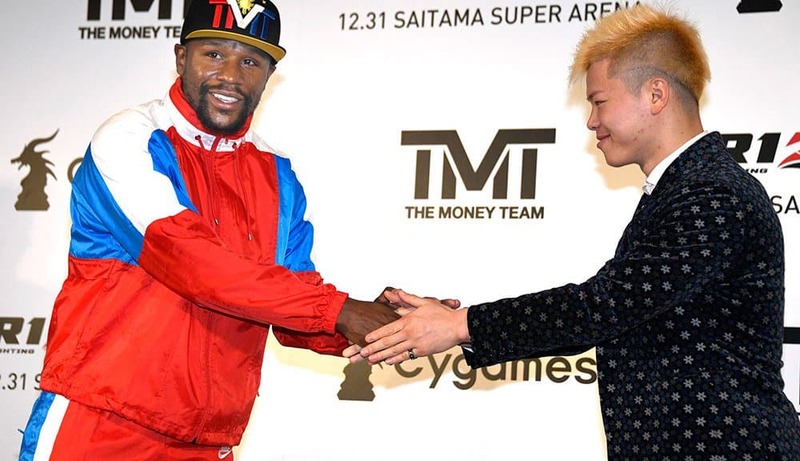 Five-division world champion Floyd Mayweather is all set to lace his gloves again for his next professional bout which will take place on Dec. 31 in New Year’s Eve at the 37,000-seat Saitama Super Arena in Saitama, Japan against a 20-year old kickboxing sensation Tenshin Nasukawa. The fight will take place at the Rizin 14. Rizin is a Japanese Mixed Martial Arts organization which was founded in 2015 by former Pride Fighting Championship president Nobuyuki Sakakibara. The fight announcement was made via a press conference which was streamed on Youtube and this fight will be Floyd Mayweather’s first fight outside his comfort of Las Vegas in nearly 12 years. Although the details of the fight haven’t been revealed yet. Tenshin Nasukawa is considered one of the best kickboxers in the world and is a massive superstar in Japan and has compiled a professional Kickboxing record of 27-0 and is also undefeated in his four Mixed Martial Arts fight. “It’s always been a goal of mine to go outside the US and go to another arena and display my talent as a professional. I did it as an amateur but it was different as a professional. “I fought in the US for all 50 fights but as an amateur, I was able to travel and fight in Russia, Cuba, and so many different countries. Just before the official announcement was made, Floyd Mayweather posted a photo on his social media handles wearing RIZIN boxing and MMA gloves. Nasukama was equally excited about this super fight which is scheduled to take place in Japan. Floyd Mayweather last fought in August of 2017, against Irish MMA star Conor McGregor where he won the fight via TKO in the tenth round. It was the second highest grossing fight in the history of combat sports right behind Mayweather vs Pacquiao which took place in 2015.